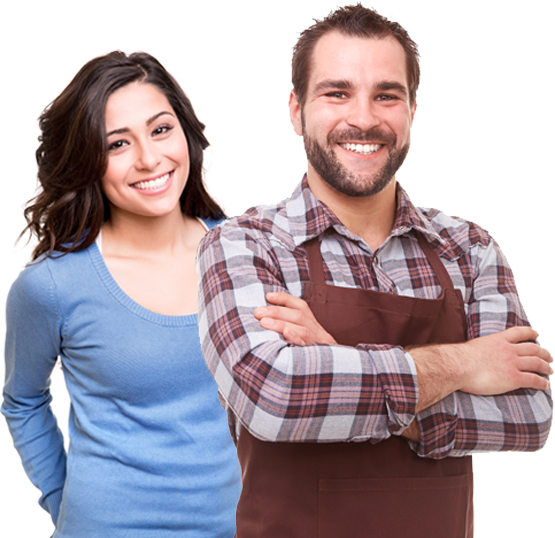 Every business needs a credit history. 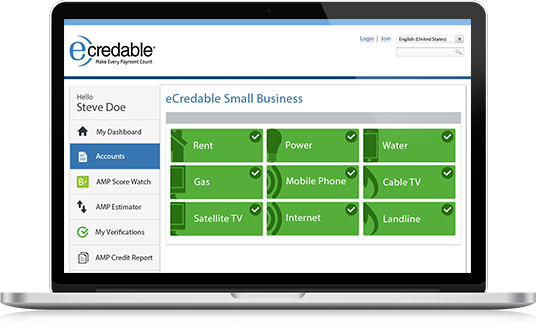 With eCredable, build your business credit history by reporting your business phone, internet, and utility payments to business credit bureaus that maintain your business credit reports and scores. Your business credit may be just as important as your personal credit. 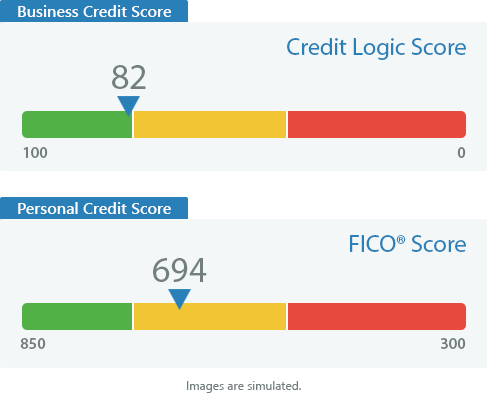 Most small businesses do not have a business credit report with enough information to create a business credit score. So lenders are left with no choice – they use your personal credit score when you apply for business credit cards, loans, and lines of credit. With eCredable, you can change this. What’s in it for you? eCredable can help you take control of building your business credit score so you can access to credit when you need it – today or in the future as your credit needs grow as your business grows. You have a new option to build your business credit. Link your business phone, internet and utility accounts to your eCredable Small Business Credit Profile and we’ll do the rest! Securely download up to 24 months of payment history directly from your service provider’s website. Automatically report your payment history to business credit bureaus that maintain your business credit reports and scores. Kate ditched her job to pursue her love of baking. Alex jumped in and they started the Cupkates Bakery with their savings and personal credit cards. Now it’s time to grow and buy a cupcake food truck. Time to stop using personal credit and build a business credit history to help qualify for the necessary funding. Get started building your business credit history right now to prepare for the future!